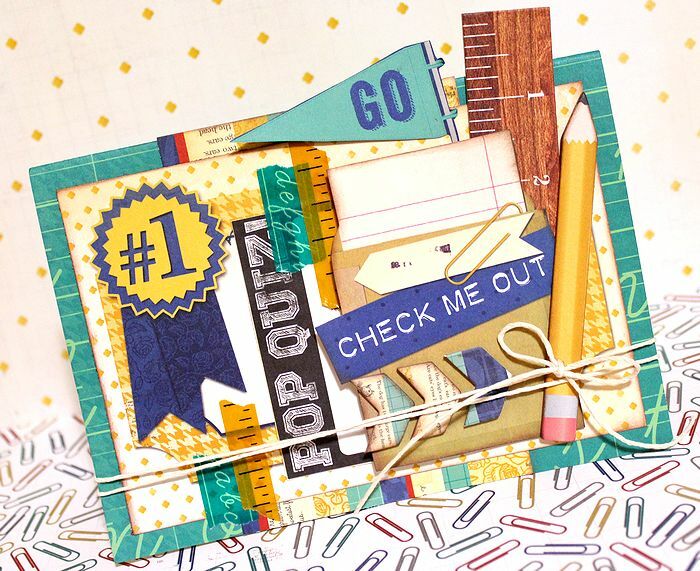 The Pop Quiz patterns combine simply for beautiful cards! For my assignment, I made two cards using Pop Quiz series. The first one I made "Cool" style using stationery, such as ruler, a pencil, and a clip. The second, I made soft and elegant style with flowers, pearl, and lace. I did not use the bright and vivid colors daringly here. Although I used same series for these two cards, don't you think that those two impressions are different? The recently released Pop Quiz collection is very self-sufficient. 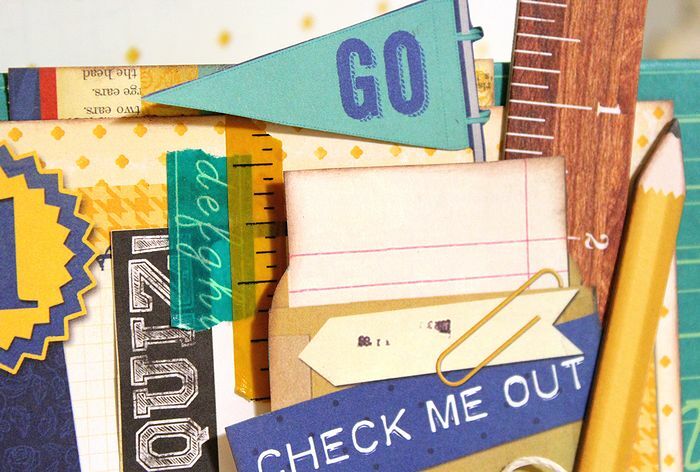 You don't have to add any paint or sprays the paper and embellishments. Simply combine the items included in the collection - and voila - we have already finished work! 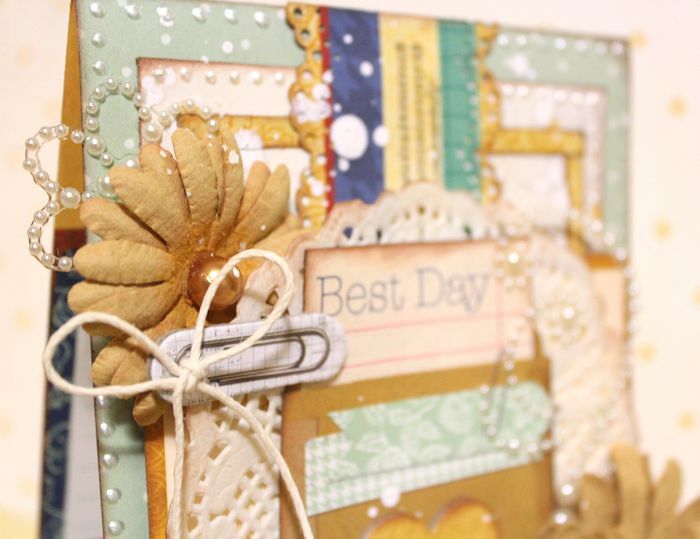 For this card I chose calm colors with subtle accents. Here you can see, that all layers are lifted above each other with the help of 3D Foam Squares. 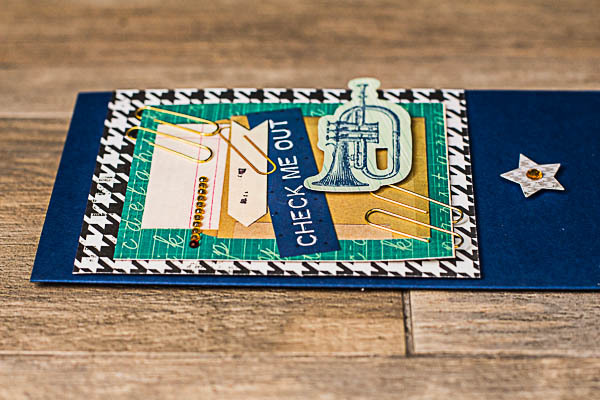 Here are the same simple materials this card, as in the previous one. But this time I took more saturated colors. 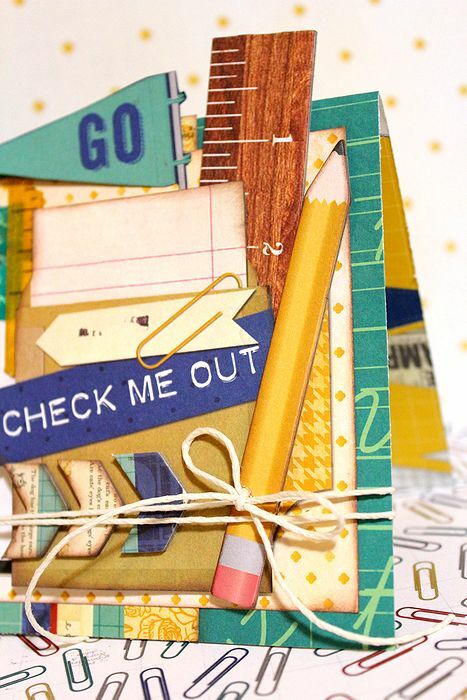 And I decided to add real clips in combination with clips on this paper collection! Pop Quiz was the collection I was most excited to see from the latest Bo Bunny releases. It is a collection with many different elements and not just the glaringly obvious. 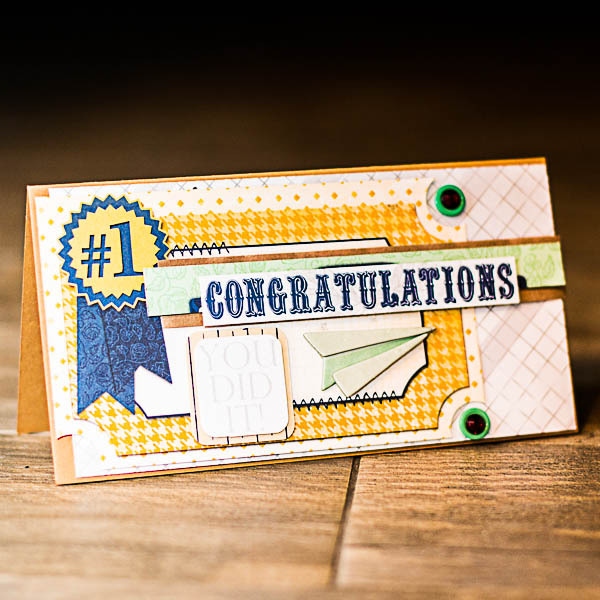 I created 2 cards using 2 different styles to share with you today. 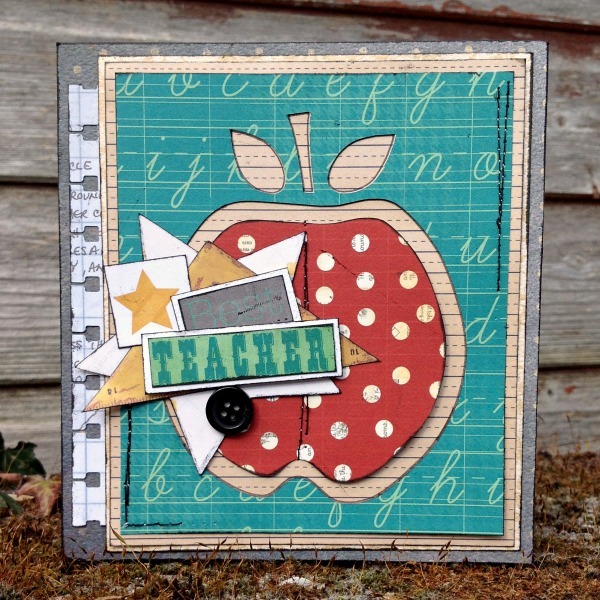 For the first card I stuck to the more school themed side of the collection and came up with a card for your favourite teacher. 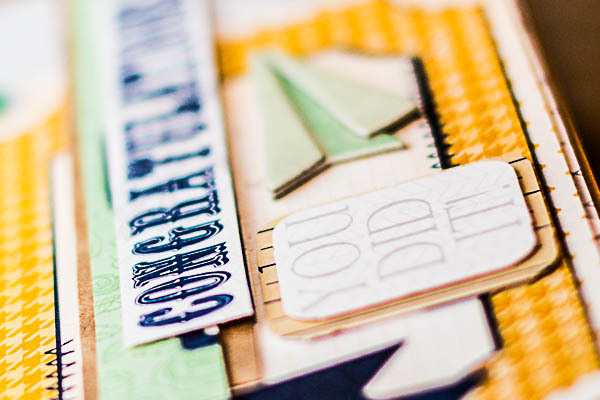 I used some pieces from the Noteworthy pack to add to my layers, they are such great packs with a ton of elements to use on all your projects. A small black button from the coordinating button pack was the perfect finishing touch. 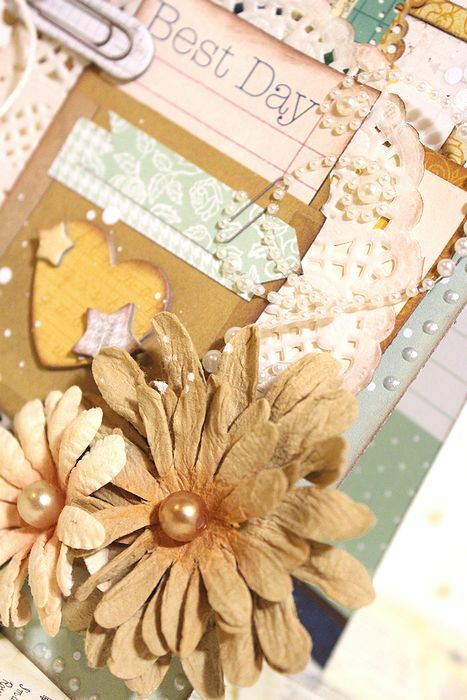 For my second card I created a softer more romantic style card with the Pop Quiz collection and added some Bo Bunny jewels and blossoms for that feminine touch. 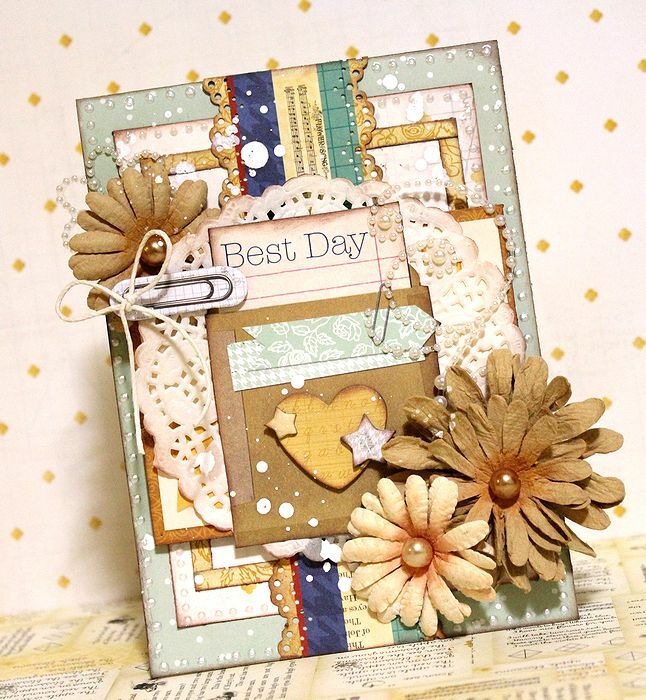 I used some of the papers from the 6 x 6 pad which are perfect when you want a smaller dainty pattern. 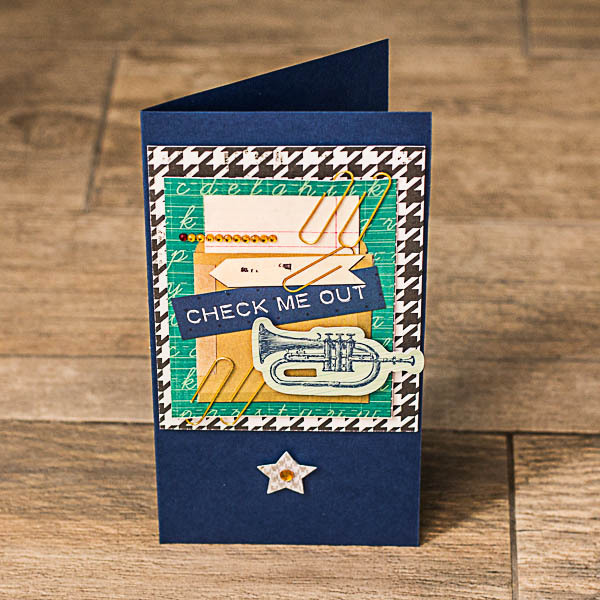 The black inked edges and hounds tooth pattern paper make the whole card look much more dramatic. 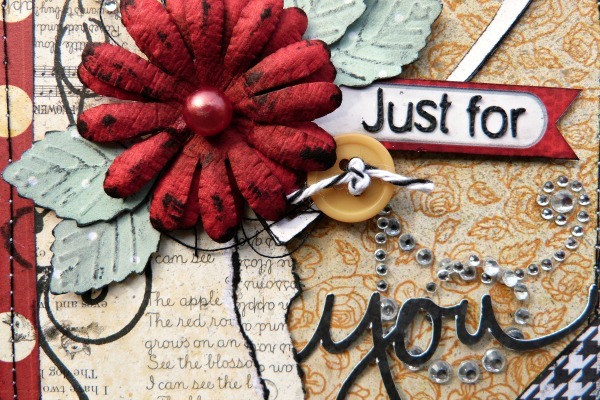 Once again the buttons are the ideal embellishment for adding that extra detail. 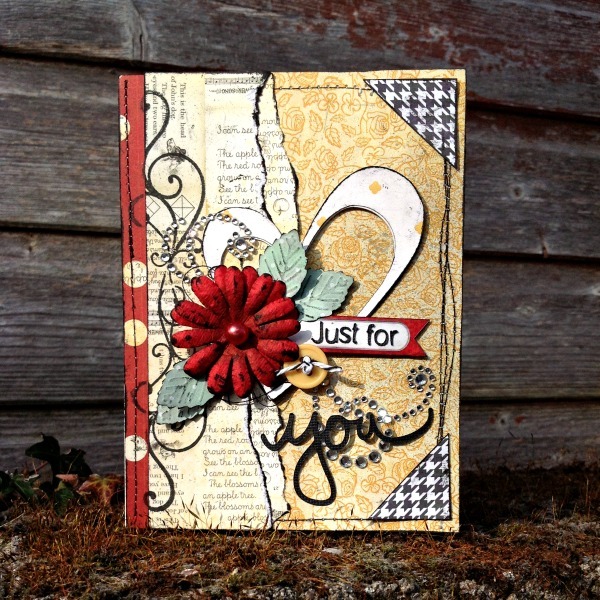 I used the Curly Q stamp set to add some interest to the background too. 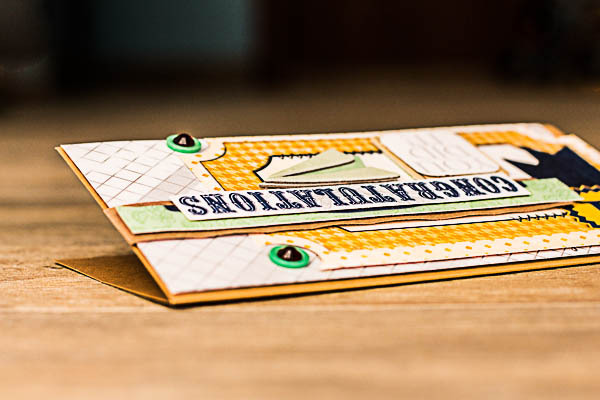 These cards are really, truly, absolutely amazing!